We love, love, loved today's giveaway from Twelve Saturdays. 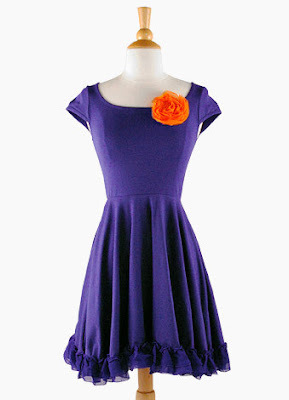 This orange and purple dress is super cute and would look great on gameday...or any day! One very lucky lady is winning this dress! Congrats Lee! Please email us at clemsongirlblog@gmail.com to claim your prize! Thanks to everyone who entered. If you haven't yet, visit Twelve Saturdays and check out all of their Clemson dresses - they are all super cute! Guess what? Tomorrow is Friday! Whoo hoo!